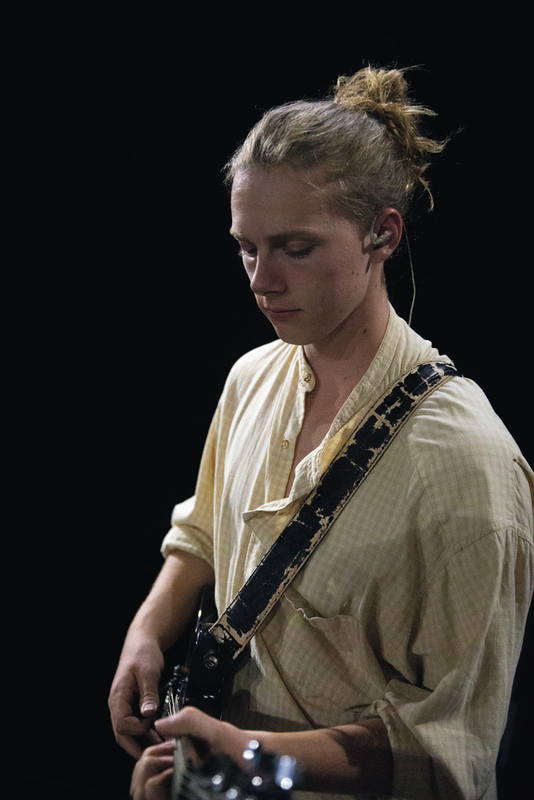 Phillip Ndowu | Banner | Nathaniel Peister, sophomore worship arts and ministry major, and second lead guitarist, rehearses for Chapel. Bright stage lights flash as students are welcomed into the Events Center by the powerful voices of California Baptist University’s Chapel Band. 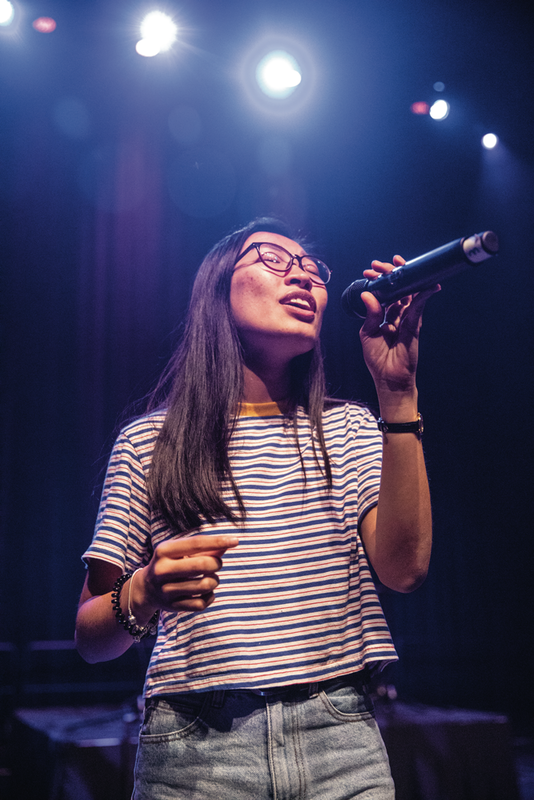 Every Chapel the student-led band sings three songs to help guide students in worship. 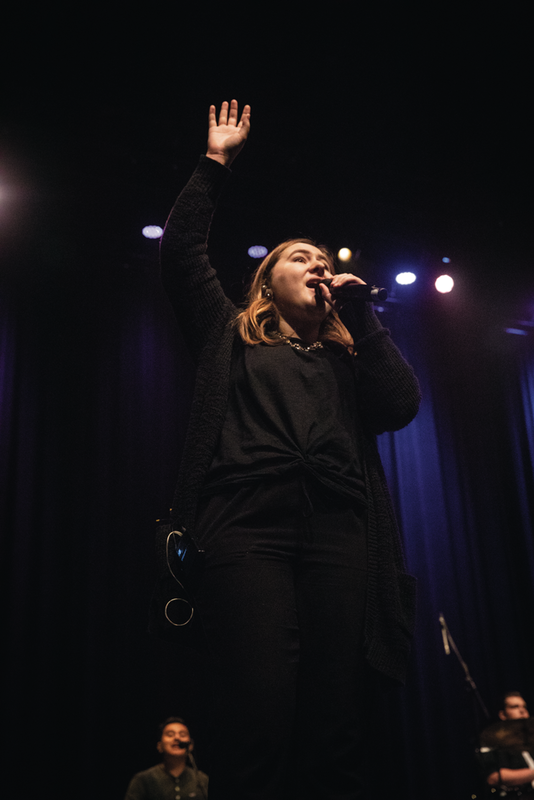 The number of members have grown significantly over the past semesters and the band has split into four vocal teams, which cycles through each Chapel session. 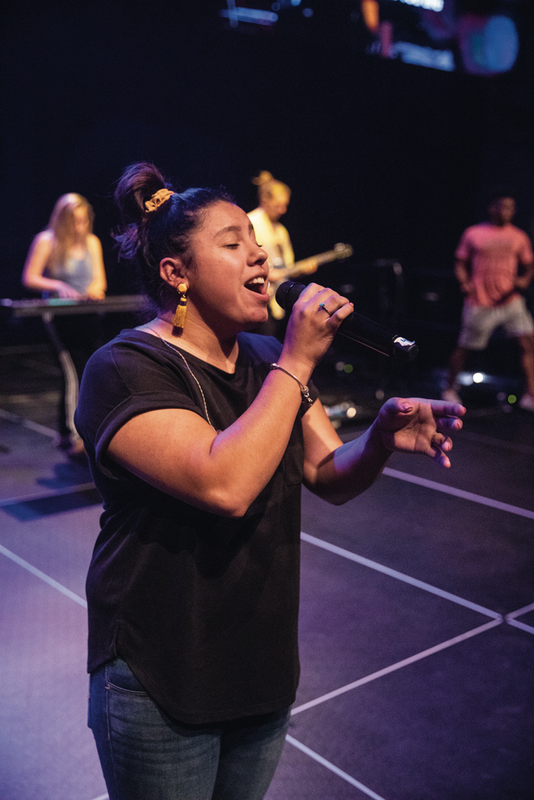 For the first few weeks of the semester, Hector Jimenez, associate professor of music and Chapel Band leader, had been away on paternity leave and asked Josue Gonzalez, senior health science major and keyboardist, to take up the leadership mantle. semester in terms of song selection and leadership. Gonzalez also said Chapel Band is important because it helps students connect with God. 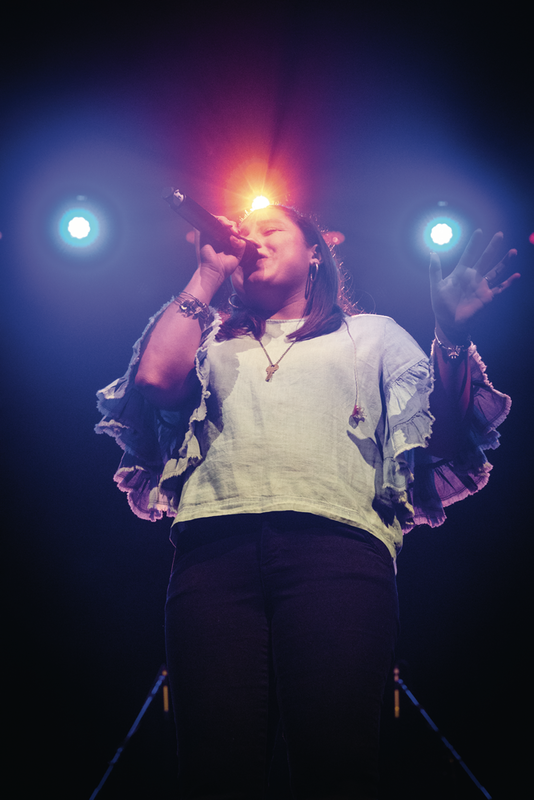 “We have the opportunity to be an example to the student body, the way we sing and praise on stage is seen and is an inspiration to worship together,” Gonzalez said. 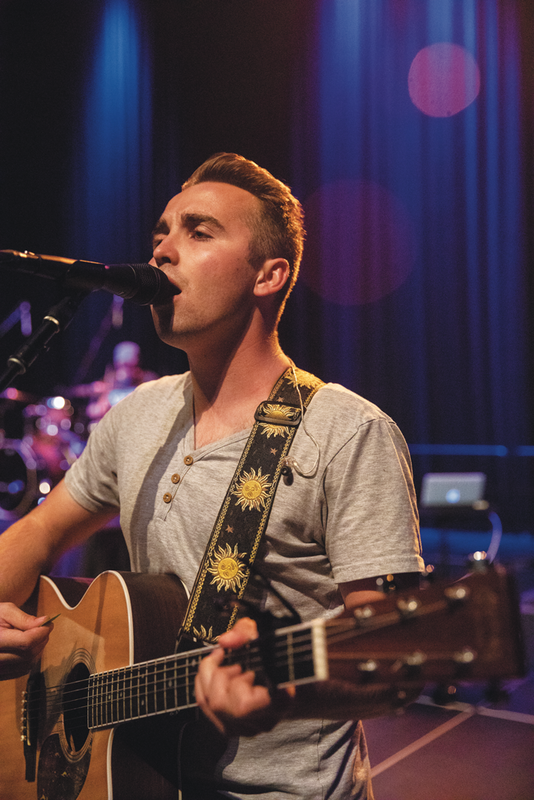 Each year the band gains new talented members who said they are called by God to lead worship. 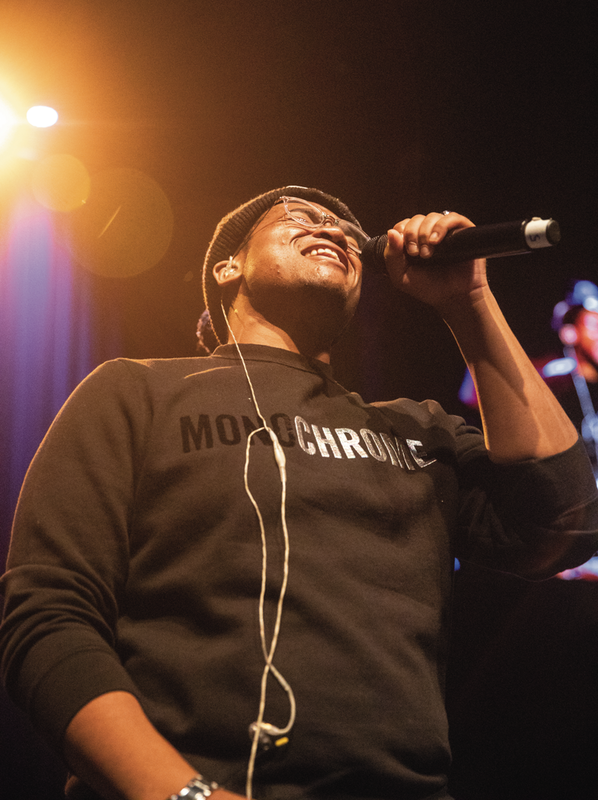 Another first-year member, Andrew Williams II, senior mu- sic education major and vocalist, said he was nervous about joining but the experience has been incomparable. Any student, no matter his or her major, may audition to join this group. Alexis Long, senior music education major and vocalist, gave some advice for students who want to join Chapel Band. 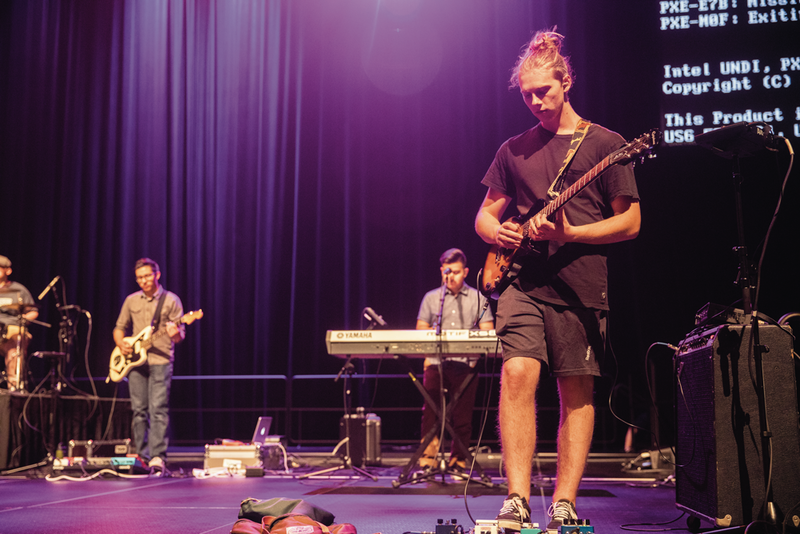 The Chapel Band works diligently at their weekly practices to bring students the best worship possible. Even though Chapel Band changes every year, its goal is still to spread the love of God through each lyric it sings.